Marco Tempest is a Swiss magician based in New York City. He also happens to be a Director’s Fellow, MIT Media Lab! 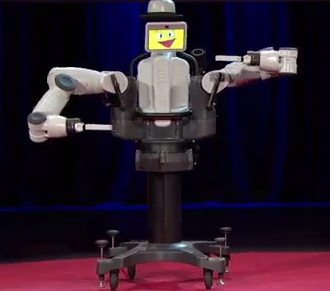 His team working Magic Robot Interaction has created Baxter. To understand what he is working on have a look at his amazing TED presentation! To know how much of this is AI and how much is illusion have a look at the MIT Lab project page. I think we are approaching a time when you will be debating it you should buy a car or a Robot! BTW: Baxter has a Skype account!